The inaugural meeting of the Circular Agronomics project will be held on 27 and 28 September. This is an initiative, with European funding, which brings together companies, research centres and universities from 10 countries. 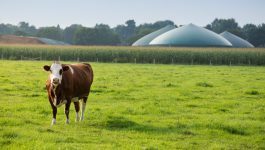 It aims to increase the recovery and recycling of nutrients throughout the agri-food chain at a European level and to reduce the environmental impact of agriculture, livestock farming and the food industry. 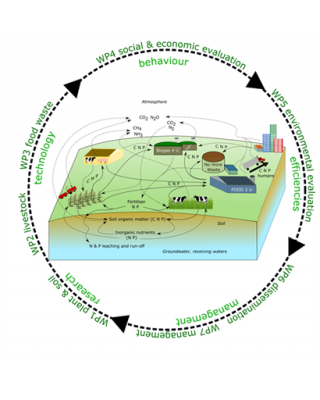 Circular Agronomics will be based on the principles of the circular economy, aiming to reduce and reincorporate residual phosphorus and nitrogen into the production chain, mainly from fertilizers and slurry, and to increase the carbon retention of the soil. 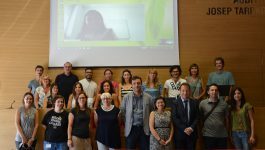 The project has an important experimental and demonstration component, which will be implemented in six case studies throughout Europe, one of which will take place in Catalonia. Catalonia is a region with extensive agricultural production and livestock farming, concentrated in very specific areas. Surplus nutrients in the soil, the eutrophication of groundwater, emissions from the sector and the scarcity of water are some of the challenges which the pilot tests will seek to tackle. The study will consist of several parts, which will take place at several locations. The IRTA experimental farm at Monells, the EVAM, will work on precision feeders for calves and other strategies to reduce greenhouse gas emissions, and on nitrogen from slurry to increase its fertilizer value. The products obtained will be reused in fertilizer trials on farms at Osona and the Baix Empordà. At the same time, pig slurry will be treated in a biogas plant and solar drying will be applied to the solid fraction of the digestate to obtain high quality fertilizers, which will be reused in fertilizer trials on farms at La Noguera. The reuse of livestock manure for fertilizing the fields where crops are produced and animals reared allow a closed system to be set up through which maximum production efficiency and sustainability is sought. Therefore, the project encompasses socio-economic and environmental assessment, which will be applied to the six case studies. The project, whose full title is: Circular Agronomics (H2020 -773649 – Efficient Carbon, Nitrogen and Phosphorus cycling in the European Agri-food System and related up- and down-stream processes to mitigate emissions) will run for four years and involve the participation of 19 partners, from 9 European countries, and a federation of farmers from 10 East African countries, with its headquarters in Kenya. It will have a budget of €6,999,795.50, awarded by the Horizon 2020 Programme for Research and Innovation. The IRTA will head up and coordinate the project, led by doctor Victor Riau of the Integral Management of Organic Waste programme. It will also involve the participation of the multidisciplinary programmes, Ruminant Production, Sustainable Extensive Crops, Urban and Periurban Agriculture, the Mas Badia Foundation, as a third party, and CREDA as a participating partner.